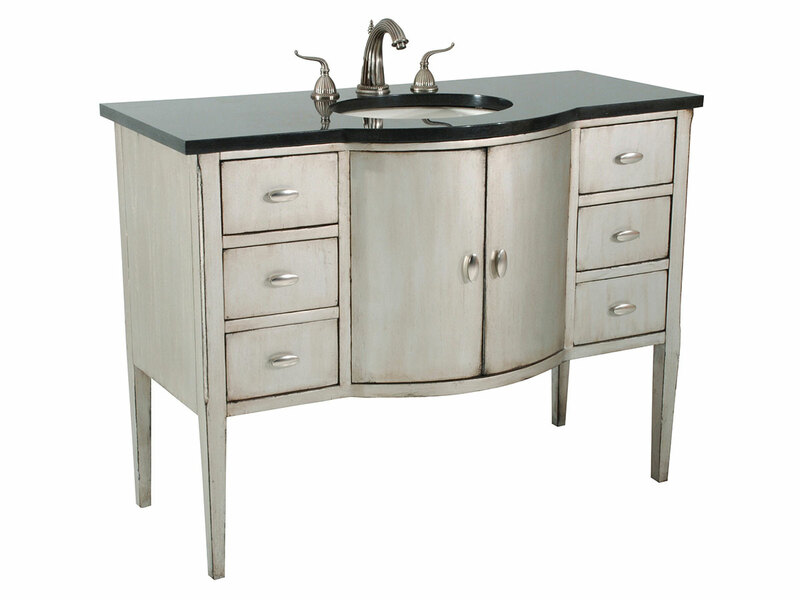 The 47" Sterling Bowfront Pedestal Sink Vanity embodies elegance with its tall, tapered legs, rounded cupboard doors, and rubbed silver finish. The black granite top and backsplash provides a clean, sophisticated contrast with the cabinet. For those who think practically, the double door cupboard and six drawer allows you to keep all your essentials at hand. Its solid pine construction means that you will have a sturdy, reliable addition to your bathroom. The perfect combination of grace and practicality, the Sterling is in a league of its own.